Season 8 of Game of Thrones finally begins at 11am AEST today (with a replay at 8:30pm) on FOX Showcase. This is the first of just 6 episodes to tie up the world’s biggest TV show. 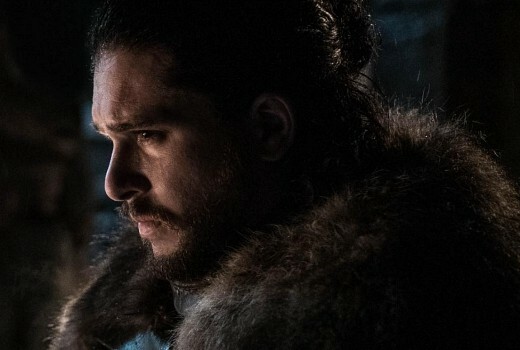 The final season will mark the end of a TV era, with binge-addicted fans drawn to its sprawling fantasy of fire and ice, stunning sequences and massive cliffhangers. Like it or not, the show has also defined TV piracy and spoilers, as millennials flocked to scripted drama in an age of disruption. When it concludes in May it will be celebrated as a show that us all captivated. But the TV landscape has also changed meaning GoT ratings will not join the likes of MASH, Cheers, Seinfeld & Friends in the record books. As a cable TV show it can’t possibly manage the same kind of reach. The top rated episode for Game of Thrones so far is the 2017 finale at 12.07m US viewers. In Australia is was also a record (Live: 561,000 / Replay: 306,000) at a total of 867,000 viewers nationally. Before digital TV and streaming FTA TV was a captured audience, also publishing ratings are not that relevant as most streaming companies don’t show advertising so viewer numbers don’t need any publicity for marketing purposes. How the advertising industry view this new age of broadcasting is anyone’s guess but GoT by itself does seem to represent a lucrative revenue earner if commercial TV exploited its popularity, but then again commercial TV may well have lost half its audience for GoT long ago, this show is really a classic design for Pay TV. So apparently people are facebook live streaming this. What will the Foxtel police do about that? Was American Idol on cable over there too? I’m surprised Baywatch wasn’t in this list as well…. or maybe The X-Files which had bold series endings? Never seen a single episode, but my kids (now young adults) are addicted to it. No doubt I’ll hear all about it, and as usual, have no idea what they’re talking about. By that list, one would think GoT will sneak into the Top 50…which will be a mean feat! Is there anything post 2010 on that list? Oprah maybe? Well spotted, only Oprah. So far this year NCIS is highest in scripted at 13.38m. The Big Bang Theory should surely get there.